Compatible toner for Canon® imageCLASS MF8050CN, LBP-5050, CRG-116. 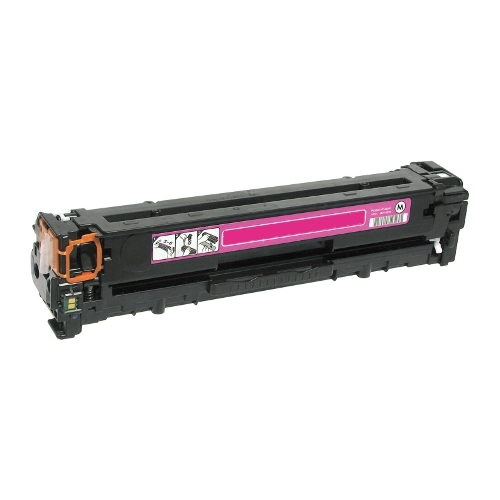 OEM toner for Canon® imageCLASS MF8050Cn, MF8080Cw. OEM-equivalent and fully compatible. Cost-effective and budget-friendly. Easy to install. Device Types: Multifunction Laser Printer; OEM/Compatible: Compatible; Page-Yield: 1500; Supply Type: Toner. OEM-equivalent and fully compatible. Cost-effective and budget-friendly. Easy to install. Device Types: Multifunction Laser Printer; OEM/Compatible: Compatible; Page-Yield: 2300; Supply Type: Toner. Produces quality images over and over again. Designed for optimal printing. Quick and easy installation means less downtime. Device Types: Laser Printer; Color(s): Black; Page-Yield: 2300; Supply Type: Toner. Produces quality images over and over again. Designed for optimal printing. Quick and easy installation means less downtime. Device Types: Laser Printer; Color(s): Cyan; Page-Yield: 1500; Supply Type: Toner. Produces quality images over and over again. Designed for optimal printing. Quick and easy installation means less downtime. Device Types: Laser Printer; Color(s): Magenta; Page-Yield: 1500; Supply Type: Toner. Produces quality images over and over again. Designed for optimal printing. Quick and easy installation means less downtime. Device Types: Laser Printer; Color(s): Yellow; Page-Yield: 1500; Supply Type: Toner.